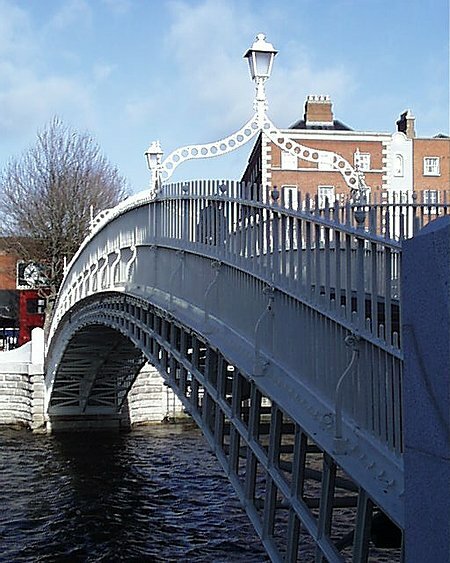 Accepted as the symbol of Dublin, the Ha’penny Bridge (originally Wellington Bridge after the ‘Iron Duke’; offically Liffey Bridge) was opened in 1816. Cast at Coalbrookdale in Shropshire in England, the bridge acquired its unofficial moniker from the toll paid to cross the river – one old half penny. 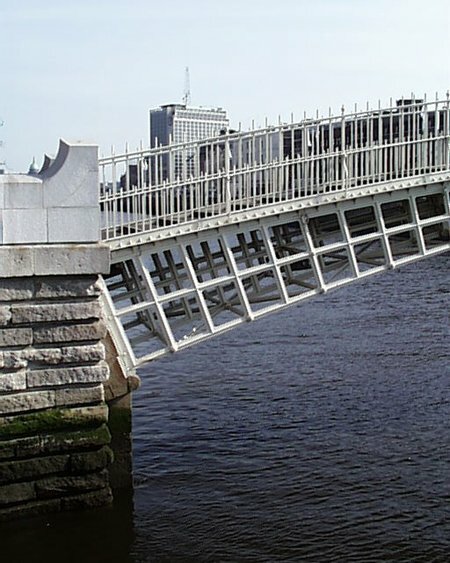 The bridge was the only pedestrian bridge on the Liffey until the Millennium bridge further up was opened in 2000. 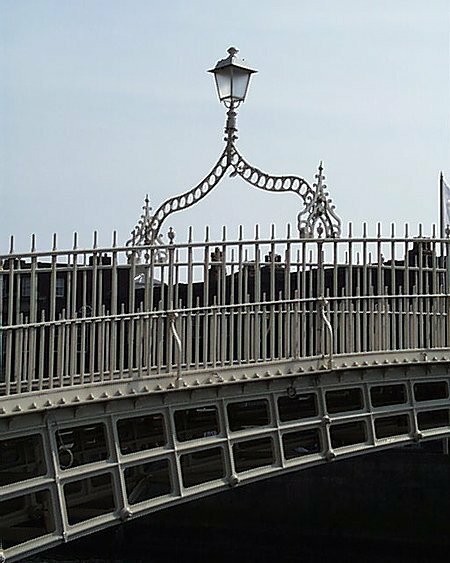 The bridge has three lamps supported by curved ironwork over the walkway. In a bad state of repair, the bridge was closed in 2001 for major restoration. It was reopened, with its original paint colour restored, and changes made at the two ends to allow standing room for pedestrians waiting to cross the street. The original line of the decking was also restored at this time.